The term aerobic refers to the type of energy metabolism carried out by your body in the presence of oxygen. Aerobic metabolism, or aerobic oxidation sustains exercise for longer durations of time. The aerobic system uses stored fats, carbohydrates (glycogen), and proteins as energy sources. As the intensity level of exercise increases, the body must rely more upon anaerobic metabolism to meet its pressing energy needs. N.B. It is important to recognize that the different types of energy systems used by the body to fuel exercise are not mutually exclusive. They all operate during exercise but to differing degrees depending upon the intensity of the exercise. Aerobic capacity is a term used synonymously with VO2max, or maximal oxygen consumption. These terms refer to the highest rate of oxygen transport and use by your body during maximal physical exertion. VO2max (also known as maximal oxygen consumption, or aerobic capacity) refers to the highest rate of oxygen transport and use by your body during maximal physical exertion. VO2max can be expressed in absolute terms as liters per minute (L / min), but is typically expressed relative to body weight so that comparisons among individuals can be made. Relative VO2max is therefore expressed as milliliters per kilogram per minute (mL / kg / min). The following table shows VO2max norms for men and women (ACSM’s Guidelines for Exercise Testing and Prescription: Seventh Edition 2006, p. 79). The term anaerobic refers to the type of energy metabolism carried out by your body without oxygen. Anaerobic metabolism, or anaerobic glycolysis is used to meet the body’s energy needs at higher levels of intensity. It uses carbohydrates (glycogen or glucose) to rapidly produce energy for the body. The end product of anaerobic metabolism is lactate, which requires aerobic metabolism (and hence oxygen) to remove from the bloodstream. Any bout of exercise over a few minutes, therefore, cannot be sustained solely through anaerobic metabolism. Anaerobic endurance refers to the ability to resist fatigue at very high intensity efforts when arm/leg turnover is rapid. Anaerobic endurance is classified as one of three advanced abilities—the other two being power and muscular endurance—according to the training system espoused by Joe Friel. It is a combination of the two basic abilities of speed skills plus endurance. Oxygenated blood leaves the heart through arteries. As the blood circulates throughout the body, muscles extract some of that oxygen for use in energy production. The a-v O2 difference reflects the difference between the oxygen concentration in the arteries (leaving the heart) and the remaining oxygen concentration in the veins (returning to the heart). At rest, the a-v O2 difference is typically around 5 milliliters of oxygen per deciliter (5 mL O2 / dL), representing a use coefficient of 25%. At exercise, the a-v O2 difference can increase up to around 15 mL O2 / dL with a use coefficient of 75%. In other words, more oxygen is extracted by working muscles as the intensity level increases. Base training refers to the phase, or period of training that primarily works the aerobic system to build endurance and prepare the body for the demands of higher intensity training down the road. Your blood pressure consists of two numbers: systolic blood pressure (SBP) and diastolic blood pressure (DBP). The systolic blood pressure refers to the pressure exerted on the wall of your arteries when the heart contracts. The diastolic blood pressure refers to the arterial pressure during the relaxation phase of the heart’s ventricles. Typical resting blood pressure is 120 / 80 (that is, 120 mm Hg for systolic pressure and 80 mm Hg for diastolic pressure). Consistent resting blood pressure readings at or above 140 / 90 generally constitute high blood pressure, or hypertension. Cadence refers to the number of revolutions, or cycles per minute. For swimming, cadence refers to the number of swim strokes per minute. For cycling, cadence refers to the number of pedals strokes per minute. For running, cadence refers to the number of foot strikes per minute. Cardiac output refers to the volume of blood pumped by the heart each minute. Cardiac output (abbreviated Q with a dot over it, or Q-dot) is calculated by multiplying heart rate (HR) by stroke volume (SV). Q = HR x SV. Training duration refers to the amount of time of a training session. The frequency of training sessions plus the duration of those training sessions comprise training volume. Endurance refers to the ability to resist fatigue and delay its onset during prolonged activity. Endurance is classified as one of three basic abilities—the other two being force and speed skills—according to the training systems espoused by Tudor Bompa and Joe Friel, among others. Flexibility refers to the range of motion around joints. Force refers to the ability to overcome resistance. Force is classified as one of three basic abilities—the other two being endurance and speed skills—according to the training systems espoused by Tudor Bompa and Joe Friel, among others. Training frequency refers to the number of training sessions done per week. The frequency of training sessions plus the duration of those training sessions comprise training volume. Functional strength refers to strength that directly benefits sport-specific movements and activities. Heart rate refers to the number of times your heart beats per minute. Heart rate training zones are ranges used for exercise prescription. They can be percentages based on, among other things, VO2max, VO2 Reserve, HRmax, HR Reserve, LTHR, among others. The heart rate training zones generally used by Alp Fitness include seven levels that correspond to percentages of lactate threshold heart rate (LTHR). The lactate threshold corresponds to the bottom of Zone 5a; thus zones 1-4 are below the lactate threshold and zones 5a-c are above the lactate threshold. Keep in mind that heart rate training zones are sport specific. 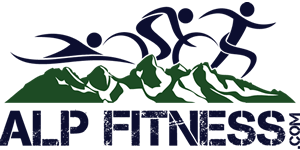 You will have different training zones for running, cycling, swimming, skiing, kayaking, etc. Training intensity refers to the effort put forth during a training session, as measured through effort, exertion, speed, power, etc. Training intensity is one of two key axes around which your training revolves—the other is volume. In general terms, interval training refers to the use of higher intensity workbouts, or work intervals interspersed with recovery intervals, or rest intervals. The length of the work and recovery intervals can vary depending upon what training effect you are trying to achieve. N.B. Jack Daniels used the term intervals in a more specific way to refer only to VO2max or race pace intervals of 3-5 minutes in duration. He uses the term reps (repetitions) to refer to work periods of less than 2 minutes in duration at highest intensity. Lactate is a by-product of your body’s energy production and the lactate threshold (LT) can be thought of as the boundary line between aerobic work and anaerobic work. Workloads above the lactate threshold can only be sustained for up to a few minutes before the body must slow down. Workloads right at the lactate threshold can generally be maintained for about an hour or even two. Workloads below the lactate threshold can be maintained much longer. In physiological terms, the lactate threshold (LT) refers to the intensity at which the rate of appearance of lactate in the blood exceeds the rate of its disappearance. In other words, when you reach lactate threshold, your bloodstream begins to accumulate more lactate than it can clear. The presence of lactate in your blood isn’t a problem in and of itself. However, accompanying the lactate are positively charged hydrogen atoms that make the blood acidic. This acidic environment contributes to muscle fatigue and that burning sensation you feel when you’re exercising at a high intensity. An important effect of endurance training is to ‘raise your lactate threshold.’ Whereas before training you could run, say, 7 minutes per mile while at LT, after training the same pace would represent an intensity level below your LT. This means that you would be able to go faster at a lower level of effort. Your lactate threshold heart rate (LTHR) is the heart rate that corresponds to your lactate threshold (LT). It is specific to the activity, so you will have a different LTHR for running, cycling, swimming, etc. An athlete’s LTHR for cycling is typically 5-10 beats lower than that athlete’s LTHR for running, so it is possible to estimate one from the other if sport specific tests are not available for both. Muscular endurance refers to the ability of muscles to maintain a relatively high force load for a prolonged period of time. Muscular endurance is classified as one of three advanced abilities—the other two being power and anaerobic endurance—according to the training system espoused by Joe Friel. It is a combination of the two basic abilities of force plus endurance. The overload principle states that any new training gain requires a greater amount of training stress. It is important to apply the appropriate amount of stress to overload the system without overreaching or overtraining. For sport specific improvements, the overload principle must also be coupled with the principle of specificity. Overreaching involves the accumulation of an amount of stress that causes a temporary decrease in performance without showing the signs of overtraining. If overreaching continues long enough without adequate recovery, overtraining can result. Overtraining refers to the accumulation of too much stress (training or other types of stress) that leads to extreme fatigue (physical and mental). Overtraining occurs when overreaching is carried too far without adequate recovery. With overtraining, the athlete has dug him/herself a hole that may take several weeks to get out of. Extreme cases can be season ending. Overtraining is obviously to be avoided and the administration of an appropriate training plan can help the athlete use the overload principle for performance gains without overtraining. 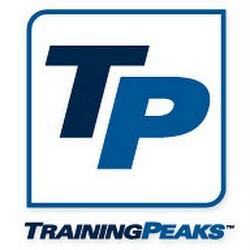 The peak training period is done prior to the athlete’s key race or races of the season. It occurs after base training has laid a strong aerobic foundation, and it involves a reduction in training volume along with an increase in training intensity to allow the athlete to achieve a high level of fitness for optimal performance. Periodization refers to the structuring of training into phases, or periods—such as a base training phase, build phase, race phase, peak training period and so forth. The first use of periodization in training is associated with Tudor Bompa. Power refers to the ability to apply maximum force quickly. Force is classified as one of three advanced abilities—the other two being muscular endurance and anaerobic endurance—according to the training system espoused by Joe Friel. It is a combination of the two basic abilities of force plus speed skills. A rating of perceived exertion is a subjective assessment of the intensity level at which one is working. The most common RPE scales are the Borg 6-20 and Category-Ration Scales. A recovery interval refers to the time between workbouts in interval training. It may involve resting (i.e. a rest interval) or moving at a slower pace to allow some recovery before the next work interval. The principle of specificity states that training adaptations are specific to the system worked. For example, to improve running performance, one must run rather than swim. It also means that within a given sport, the type of training needs to be geared for the type of racing to be done or performance gains desired. Speed skills refer to the ability to move efficiently and effectively. Speed skill is classified as one of three basic abilities—the other two being endurance and force—according to the training systems espoused by Tudor Bompa and Joe Friel, among others. Stroke volume refers to the amount of blood your heart—specifically, your left ventricle—ejects when it contracts. Tapering refers to a decrease in training volume prior to a key race to rest and sharpen the athlete for competition. Training zones refer to intensity levels used during exercise. Training zones can be based on heart rate, power, velocity, ratings of perceived exertion or some other measurement of work capacity. Ventilatory threshold refers to the point at which breathing first becomes labored during exercise of increasing intensity. It corresponds closely with lactate threshold (LT). Training volume refers to the amount of training done per week. The frequency of training sessions plus the duration of those training sessions comprise training volume. Training volume is one of two key axes around which your training revolves—the other is intensity. The warmdown, or cooldown period involves a transition from the exercise session back to a resting level. It involves low-level activity to clear lactate from the blood while allowing the heart rate, blood pressure, and respiration rate to lower. The warmup period involves a gradual transition from rest to higher intensity exercise. It involves gradually warming up the body temperature through low-level activity. A work interval, or workbout refers to the time spent in the target training zone in interval training. Work intervals are interspersed with recovery intervals.